Today, he's a high school dropout with no future. Tomorrow, he's a soldier in World War II. Kale Jackson has spent years trying to control his time-traveling ability but hasn't had much luck. One day he lives in 1945, fighting in the war as a sharpshooter and helplessly watching soldiers-friends-die. Then the next day, he's back in the present, where WWII has bled into his modern life in the form of PTSD, straining his relationship with his father and the few friends he has left. Every day it becomes harder to hide his battle wounds, both physical and mental, from the past. But then Harper finds Kale's name in a historical article-and he's listed as a casualty of the war. Kale knows now that he must learn to control his time-traveling ability to save himself and his chance at a life with Harper. Otherwise, he'll be killed in a time where he doesn't belong by a bullet that was never meant for him. 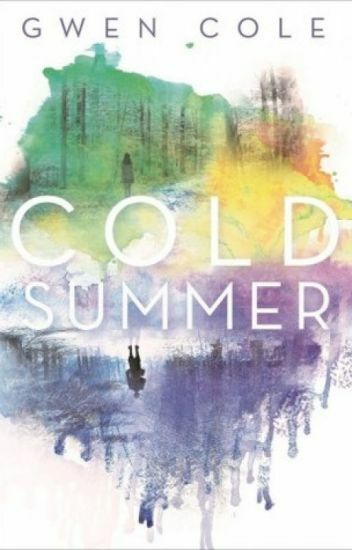 Cold Summer release and giveaway! "take this chance and grip it tight. and rid yourself of their lies." Yesterday, Reese's country was attacked. Today, she saved the life of a stranger. Not only is West a stranger, but he is also the enemy. As a Runner for one of the last surviving groups of a global pandemic, seventeen-year-old Michaela Jameson spends most of her days searching for food and trying not to get bitten by the Virals that hunt in the dark. But when she learns her missing mother might be alive and searching for a cure, she's determined to follow the trail--even if it means trusting a Viral and leaving her group behind. Embarking on a treacherous journey from Oklahoma to Florida, Mikie sets out with a Viral body count, a few friends, and the determination to put her small family back together. But is her mother really working toward a cure or something much more deadly? This is, to my best knowledge, is the original work of Charlotte Brontë. I do not own any parts of this book. The credits entirely belong to the original creator of this story. My intention is only to share this amazing book with fellow readers on wattpad. SUMMARY: The Professor was Charlotte Brontë's first novel, written before Jane Eyre but rejected by publishers until after her death. The book tells the story of a young man named William Crimsworth, from his formative years to his appointment as a teacher at an all-girls school. Emma, by Jane Austen, is a novel about youthful hubris and the perils of misconstrued romance. The story takes place in the fictional village of Highbury and the surrounding estates of Hartfield, Randalls, and Donwell Abbey and involves the relationships among individuals in those locations consisting of "3 or 4 families in a country village". In the distance future, humans join the rest of the galactic community. Zephaniah Knightley is selected at birth to be a Guardian in order to prevent the Unifiers from conquering the galaxy. On his first day out of the academy his base is attacked. Out of desperation, his general orders him on a mysterious mission to protect an ancient artifact. With his best friend and new roommate, he must find the courage and determination to stop a terrorist organization from potentially destroying the galaxy. Twenty years ago, a little girl was bullied by  classmates she had hoped would be friends with her. Now a young and brilliant detective, she finds herself the only hope to stop a maniacal killer who seems to be out for the alumni of Westbound High's class of 96. Being a member of that class herself, Emma Roosevelt has no choice but to put her personal bias aside and track down the seemingly elusive killer who refers to himself as The Spawn. Not only does she have to save her former classmates from their almost certain fate, she also needs to make sure that fate stays far away from her by preventing herself from getting on his list of victims. The inevitable trip down memory lane as Emma tries to figure out who the killer is and why he is targeting her class, yields to the uncovering of secrets no one is prepared for. Pollyanna's adjustment to her surroundings is determined by "The Glad Game", which has one simple rule- to find a reason to be glad in every situation. *This story belongs to Eleanor H. Porter. I don't own anything.